Stunning end unit at Hunters Run West! 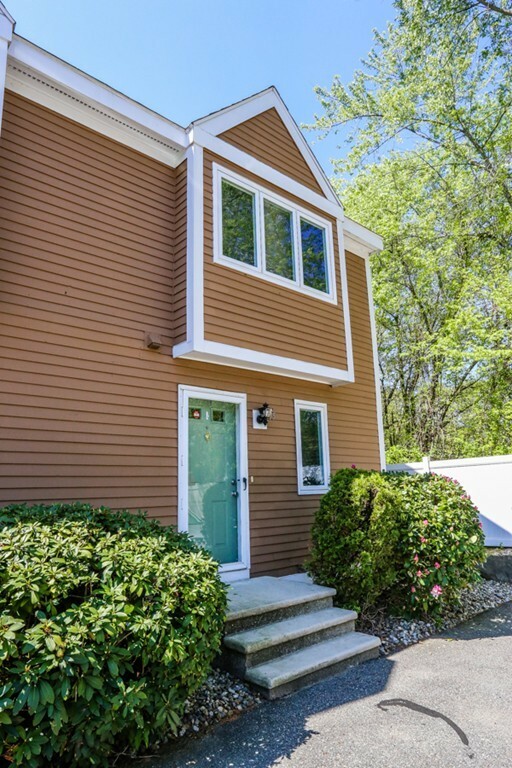 This townhome features gleaming hardwood floors on main level, New Designer kitchen with stainless steel appliances, butcher block countertops, & updated baths. Two large bedrooms with neutral carpeting. Spacious master bedroom with loft for additional living space or home office. Updates include newer furnace, a/c, Hot water tank, slider & windows. Private deck overlooks lovely wooded area. Great for summer entertaining. Finished basement for even more space. Walk to shopping & restaurants. Easy commute to highway & only minutes to route 495 & New Hampshire border. This home will not last!